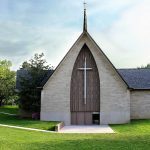 Community Christian Church in Manchester, Missouri, is an Open & Affirming Congregation of the Christian Church. One of the most formative classes in my educational career was “Post-Holocaust Theology,” taught by Clark Williamson at Christian Theological Seminary. Clark, who has been a prominent figure in the Jewish-Christian dialogue for quite some time, designed this class so that the students were dealing with the question, “How do the events of the Holocaust affect our understanding of God and faith.” Another way of asking it is, “How do we speak of God and faith after the Holocaust?” Knowing that it was the in the midst of “Christian Europe” that this atrocity took place is a very difficult reality to accept, but it is true. Since that class, I have spent countless hours reading literature that tells the story of the Holocaust. I have been to the National Holocaust Museum in Washington, DC and a stone from there engraved “Remember” sits on my desk. I have been to Yad Vashem in Jerusalem and stood silently in the Hall of Names and wept with countless others at the Children’s Memorial. In my further studies and experiences, the question of Clark’s class has always been close – “How do I understand and speak of God and faith in the darkness of this event?” It is a very difficult question. I believe this Pastor’s courageous words are some of the most powerful I have ever encountered. And these words have lit a path for me as I seek to understand God and live my faith in this world. I know this is true when it comes to the current conversation we are having in regard to the place of GLBT person in the life of the church. I remember one of my friends, a pastor who is a lesbian, saying to me one day, “Mark, I am so much more than my sexuality. It is a part of who I am, but it is not the whole of who I am. Why does it seem that is all the church is interested in?” And she is so right. She is a wonderful human being, full of beauty and talent and joy and compassion; a person who showed to me the presence of the living Christ when she stayed by my side during a very difficult time in my life. She is a human being, wondrously created by God – and she happens to be homosexual. I recently taught a four part class at the congregation I serve on “The Christian Faith and Homosexuality.” About 50 people, with, of course, diverse views, participated in the class. We spoke about our own experience of those who are gay and lesbian. We examined what the scriptures say and don’t say. We spent an evening looking at the complex nature of human sexuality and what some contemporary scientific studies reveal. Finally, we talked about what the appropriate response of the Body of Christ should be to GLBT persons. In the beginning of the class I set some ground rules which included, letting others speak without interrupting them and respecting where others are at even though you might not be there. I also said, “We need to remember that we are not talking about an issue, we are talking about human beings who have been created by God and are loved by God.” This truth became very evident as people in the class spoke of their children, grandchildren, their siblings, their cousins, and their friends who are homosexual. Our class ended with small group conversations about how the church can respond in faithfulness to GLBT persons. Each group responded with some variation of “the church ought to be a place where everyone is welcome.” This was only a beginning conversation for our congregation, but I think a very productive one. The conversation has begun and will continue. For me, the starting place for this conversation is our common humanity. Pastor Trocme’s words, “I know no Jew, I know only human beings” are words of light that spoke to me out of the darkness of the holocaust and have become the way I try to engage the world. It is in our common humanity that I have come to understand faith and am able speak of God. This Pastor’s words have guided me as I seek to help engage the church in this important conversation about GLBT persons in our communities of faith.